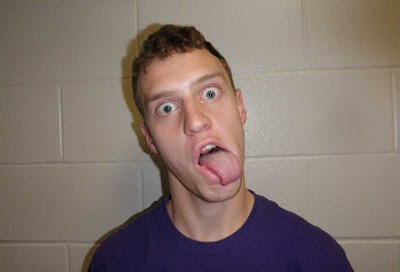 A 21-year-old New Hampshire man has been arrested for alleged criminal mischief. Sam Tulley, of Londonderry, was arrested at his home on Sunday on suspicion of tagging/spray painting in the Musquash Conservation Area. In a booking photo released by police, a wide-eyed Tulley put hs best face forward. Tulley and his tongue were released on $1,000 bail and are due back in Derry District Court On July 19.